Last month, Hillary Nunn (20/02/21013) introduced our series of entries that are considering an exceptional manuscript owned by one Anne Layfielde and dated 1640 housed at the Medical Historical Library of The College of Physicians of Philadelphia. Our interest in the manuscript stems largely from the remarkable number of attributions the section compiled by one “Cal: Downing” records. Over 100 of the 134 recipes written in that hand have some version of a “probatum per” or “proven by” attached to them. 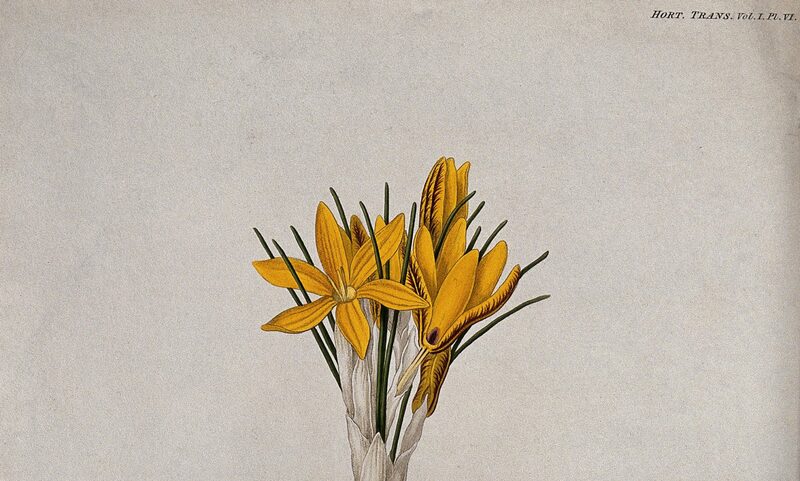 The first recipe, “To make an excellent Salue called Flos vnguentorum,” along with 41 others, is attributed to a woman named Elizabeth Downing. Recipes for “Flos Unguentorum” or “The Flower of Ointments” are ubiquitous in various versions throughout the sixteenth and seventeenth centuries. The version in The College of Physicians manuscript begins “Take Rosen & Perosen of each / halfe a pound.” The reader is thereafter instructed to heat together several gums and powders with “virgin wax,” which are cooled “till [the mixture] be bloode warme.” The page following these directions is dedicated completely to “the vertues of this salue,” which include, among many others, the curing of “old wounds,” head aches, and hemorrhoids. Now I mentioned briefly back in October (18/10/2012) that the Elizabeth Downing who is the source of so many recipes in this manuscript may have some connection to the “Mistress Downing” named thirteen times throughout the print collection Natura Exenterata: Or Nature Unbowelled (1655), and a couple of the print recipes do have suggestive overlapping ingredients and wording with recipes from the Layfielde collection. Natura Exenterata, which is clearly connected to the House of Arundel through its front matter, also includes a recipe for “Flos Vnguentorum” (but one not attributed to Mistress Downing) in which the virtues and directions are reversed, but the directions are almost exactly the same, starting with like ingredients, including an allusion to blood temperature, and ending with the directions to put the salve into rolls for the later use of the practitioner. The Arundel example, however, includes one detail in its list of virtues not found in Layfielde manuscript: “it cometh of Jesu Christi by an Angell to a house of Religion at the red hill in Almayn [Germany], which wrought there many marvails.” A third manuscript, an anonymous one found at Bryn Mawr dated 1649 (before the print text) also includes the recipe for the flower of ointments, one which almost exactly corresponds to the recipe in Natura Exenterata and includes the origin myth. The Bryn Mawr manuscript also includes several recipes from the Countess of Arundel, Anne Dacre Howard (1557–1630), mother-in-law to Aletheia Talbot Howard (d. 1654), whose portrait graces the front matter of Natura Exenterata. The inclusion of Mistress Downing in the Natura and the naming of the Countess of Arundel in the Bryn Mawr manuscript, along with the overlap in the Flos Unguentorum recipes, suggest a triangle of relations, at least in the generation before the decade of compilation around the 1640s. The correspondences in the recipes may imply a fourth outside source, but if this is the case, somewhere in transmission the origin myth was omitted from the list of virtues in the Downing example. What, if anything, can the mythic origin of this recipe, its inclusion or exclusion, tell us about a recipe’s more immediate historical source, particularly of collections compiled in years of religious conflict? The Countesses of Arundel were known Catholics, and the inclusion of divine intercessors in manuscripts and books of their circle would not have been unexpected. All signs (including his mother’s name, Elizabeth), however, point to the “Cal: Downing” of the Layfielde manuscript being Calybute Downing (1606–44), Protestant minister (as also possibly Anne Layfielde’s husband) and Parliamentarian, whose doctrine would be less likely to include such intercessors. Was this omission then made for expediency’s sake or was it indicative of the beliefs of the compilers? This is the second in a series of monthly posts on this topic. College of Physicians Manuscript 10a214, page 1. Natura Exenterata, 332. Another Elizabethan print source which, like the Downing recipe includes the directions first then lists the virtues, recounts the origin in Germany, but not the angel, Thomas Lupton, A thousand notable things of sundry sortes (London, 1579), 104. Bryn Mawr College Special Collections MS 19, fol. 5.